There’s a good reason you don’t see vegetarians flock to Filipino joints as they do Indian, Thai, and other ethnic restaurants. If there’s no whole roast pig in the window to scare them away, a menu of sausages, cured beef, pork belly, and crispy pig legs usually does the trick. The cuisine is not only heavy on the meat, but heavy period, contributing to higher rates of obesity and heart disease in the Philippines than in other Asian countries. Jay-Ar Isagani Pugao was a teenager when he learned this firsthand. His mom had a heart attack and had to eliminate all that red meat and cholesterol from her diet to stay alive. To help her out, “I went vegetarian, so she didn’t have to worry about cooking a healthy meal for herself and another dish for the rest of us.” Together, they experimented with cooking dishes like adobo, lumpia, and apritada without all the unhealthy stuff. 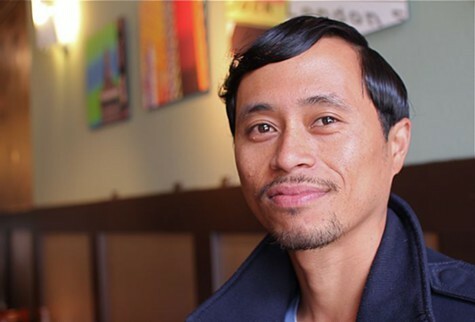 It was the first of many unexpected events in the course of Pugao’s life that have added up to the downtown Oakland restaurant he plans to open next week, No Worries Filipino Vegan Cuisine. The second soon followed, when Pugao wrote a business proposal for a vegetarian Filipino catering service for an economics course at Oakland High School. Unbeknownst to him, the teacher submitted the class projects for real funding, and his won a $1,500 grant to get the idea off the ground. For him, the essence of Filipino cuisine lays not in the meats, but in the sauces and method of preparation. Adobo, for example, is a popular meat dish, “but what makes it Filipino is the soy sauce, vinegar, bay leaves, garlic, salt, and pepper.” Pugao prepares first, then adds the soy substitute. While catering the Oakland Indie Awards last year, he was approached with the idea of opening a restaurant at a new Jack London Square development. 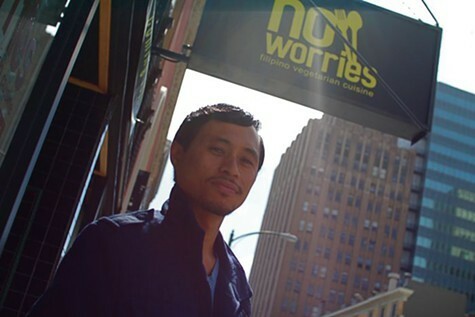 The suggestion motivated him to apply for small business loans and start looking for investors. Though he wound up at a different location, his placement near the corner of Franklin and 14th streets is, as he says, “a hot spot” — near offices for a lunch crowd and The Layover across the street at night. Check the web site for updates on the opening, or just stop by at 1442 Franklin Street in downtown Oakland.